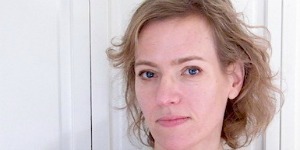 Julie Carr will read from her latest book, Real Life: An Installation, which includes hypothetical art installations, and she will show four videos that resulted from her hypotheticals. She is the author of seven books of poetry and two of prose, with the most recent being Objects from a Borrowed Confession (2017). Carr’s poems have appeared in Best American Poetry, Poets on Teaching and Postmodern American Poetry: A Norton Anthology. She is an associate professor of English at the University of Colorado, Boulder, and co-director of Counterpath, an independent literary press and a bookstore/gallery/performance space/community garden in Denver.